Home » Blog » What Happens in Bankruptcy Court? There’s no need to worry. 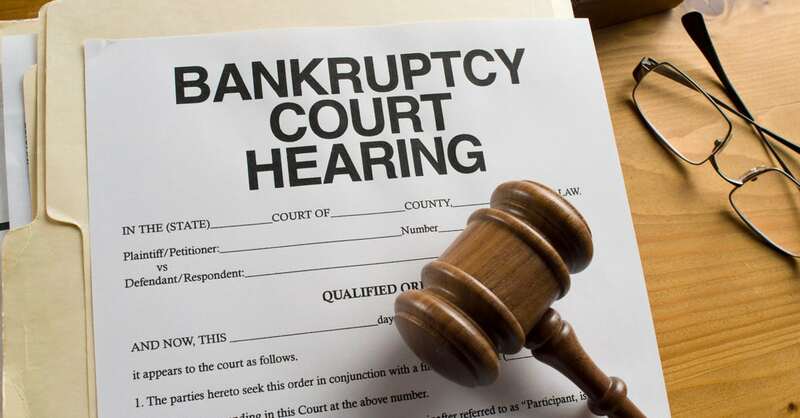 Bankruptcy court is not something that every bankrupt has to go to when they file for bankruptcy. If you complete all your duties and no one objects, you are automatically discharged from bankruptcy after the required period of time has passed, so there is no requirement to appear in bankruptcy court. In fact, this is the case for the vast majority of my clients. The only reason why you would have to appear in bankruptcy court is if your bankruptcy could not be automatically discharged, which happen if you did not pay surplus income, did not provide tax information from your Trustee, or did not complete your required counselling sessions. On today’s show, we outline exactly what you can expect from bankruptcy court should you ever have to appear. And remember, if you file with a Trustee from Hoyes Michalos, you will never have to go to court alone. To tell us more about the bankruptcy court process, I am joined once again by Richard Howell, a bankruptcy lawyer with Clark Farb Fiksel in Toronto and Scott Schaefer, our Trustee at the Hoyes Michalos Kitchener office. Do I need a lawyer to appear in bankruptcy court? First let me explain that Licensed Insolvency Trustees (previously called bankruptcy trustees) are not bankruptcy lawyers. An LIT is an officer of the court who administers bankruptcies and proposals under the Bankruptcy and Insolvency Act. You do not need a bankruptcy lawyer to file a bankruptcy, but you may need a lawyer if you attend bankruptcy court. Well, the classic one is transferring an asset at a time when you were insolvent. If you’re a second or third time bankrupt, or if you’re a tax-driven bankrupt under the bankruptcy act, then you better have a lawyer because a lot of things can happen. In the Bankruptcy and Insolvency Act, sub-section 172.1 sub (1), if you owe more than $200,000 in personal income tax debt and that personal income tax debt represents 75% or more of your total unsecured debt, your bankruptcy will not be eligible for automatic discharge. What’s more, you will likely face Canada Revenue Agency’s lawyers in court, in which case, having your own protection to share your side of the story is a good idea. How do I prepare for bankruptcy court? If you’re a labourer and don’t have a suit, just be who you are. The court doesn’t take a lot of note of how you’re dressed, but it’s always a good idea to put your best foot forward. You never know what the traffic is going to be like. Most courts are in a downtown community so there’s going to be a parking issue. You’ve got to go through security, because all the courthouses now have ample security so you’re going to have to go through the security system. You will know at least 3 or more months in advance of your court hearing. We’re going to meet when we know we have to go to court to get their discharge, and we’ll have talked about it before if that ever gets to that point, we we’ll know well in advance as we move through the process on that. We’re using the court hearing at that point as a tool, a tool to help that individual get their discharge. They couldn’t afford to pay it in full so the tool now is the court is going to allow us and agree to a term to get their discharge conditionally upon that condition being met, which is the payments, so it allows us to spread out those payments a bit longer than we would otherwise have been able to. As mentioned earlier, Hoyes Michalos Trustees always appear in court for a discharge hearing. One of the biggest things is that they can locate us, because at Hoyes Michalos we attend all court hearings, so they can find us beforehand, we’ll set them at ease again where we’re going, what’s going to happen, at what point they’ll be called up… we’ll go through it one more time of what’s going to happen so that’s definitely reducing the stress for the person. At the end of the day the courts want to grant discharges, that is what the process is about. Sometimes there’s terms and conditions they have to meet in order to facilitate those three principles, but at the end of the day this is about getting their discharge, so we’ve got to make sure we agree on getting the duties completed and moving forward to getting that discharge. To learn more details from Richard and Scott about what you can expect at a bankruptcy hearing, tune in to today’s podcast or read the complete transcription below. FULL TRANSCRIPT – Show 202 What Happens in Bankruptcy Court? Doug Hoyes: Today we are going to talk about bankruptcy court. Why? Two reasons: First, we’ve never talked about bankruptcy court here on Debt Free in 30, and second, a lot of people who are considering filing bankruptcy are worried that they will have to go to bankruptcy court, and that makes them nervous about seeking relief from their debts. So, let me alleviate those fears by starting with this fact. In the vast majority of cases you don’t need to go to bankruptcy court. If you go bankrupt and you complete all of your duties, and if no one objects, you are automatically discharged after the required period of time has elapsed. I’ll over-simplify this a bit: But if this is your first bankruptcy and you complete all of your duties and no one objects, and if you have no surplus income, you are eligible to be automatically discharged in nine months. If you are a first-time bankrupt with surplus income you are eligible to be automatically discharged in 21 months, again assuming you complete all of your duties and no one objects. In a second bankruptcy you can be automatically discharged in 24 months if you have no surplus income, or 36 months if you have surplus income, which is why many people choose to avoid a second bankruptcy by filing a consumer proposal, but you get the point. In most cases you are automatically discharged so no court appearances required. Richard Howell: Well, first of all, if you’re going to court it’s because you didn’t do something you were supposed to, or you did do something you’re not supposed to. Typically, you may not have paid surplus income; you may not have done your counselling; you may not have provided tax information to the trustee. Those are the basics. There are more exotic ones, for want of a better word. You may have transferred the house to your spouse six months before bankruptcy; that will be attacked. You may have had any number- you may have objections from creditors for any number of reasons; a lot of them aren’t valid. So unless it’s a fairly simple matter you better at least talk to a lawyer, and if it’s one of the more serious matters, you better hire one. Doug Hoyes: So let’s talk about that then. When do I need a lawyer going to bankruptcy court? So you’ve given some examples, and I guess there’s really two reasons why you’re in bankruptcy court. One is, like you said, you didn’t do something you were supposed to do. You also alluded to the fact that, well, it’s possible that one of your creditors is objecting, and it may not even be something valid, they just might be, you know, having a bad day and mad at you. So even though you’ve done everything you’re supposed to, you still find yourself in court. Under what circumstances is a lawyer not really that necessary, and under what circumstances, as you say, should you at the very least have a phone conversation with one before appearing in court? Richard Howell: Well, typically, on the surplus income issues and on the lack of counselling you can fix that beforehand with a trustee that will get the opposition withdrawn, although you’ll still have to go to court if you didn’t get your auto discharge. Doug Hoyes: Right, and so a typical example, I mean credit counselling being the obvious one, there are certain time periods that it has to be done in; if you haven’t done it in the time frame – and certainly if you haven’t done it by the time your automatic discharge period comes up – you’re not eligible for an automatic discharge; the trustee has to make an application to court for your discharge. If you can get it fixed, in other words do your counselling before court, then it’s a relatively simple matter. We go to court, you say to the judge, “Yeah, I’m sorry I was late but it’s done now”, and the trustee says, “Yep, we’re cool” and they sign off and we’re done, so no need for a lawyer there. Surplus income being the other one where, okay, I was supposed to pay a certain amount of money, I wasn’t able to get it paid within the time frame, but now it is paid, so again, you go to court and get it done. Those are examples where a lawyer is not really necessary. What would be some examples, though, where, yeah you know what, you might want to get some help? Richard Howell: Well, the classic one is transferring an asset at a time when you were insolvent. If you’re a second or third time bankrupt, or if you’re a tax-driven bankrupt under the bankruptcy act, then you better have a lawyer because a lot of things can happen. Another example that happens fairly often is you may have a creditor that alleges you’ve committed fraud. That’s not something the bankruptcy court will try on a discharge, so that’s not going to be decided at the discharge hearing, but you better have somebody around to protect you. 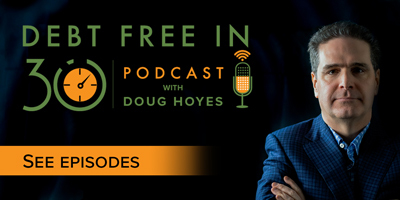 Doug Hoyes: So something outside the box, perhaps, is a good idea, and, you know, a tax-driven bankruptcy – and we won’t go into the specifics; I’ll put some links in the show notes – but if your total debt is- your total tax debt is over a certain amount and it represents a significant portion of your total debt, then that’s a tax-driven bankruptcy, you’re not eligible for an automatic discharge, the court has to sign off on it. And in that case, as the trustee, if I’m in court, I’m going to say to the judge, “Well, here’s the facts, this is what the numbers are, that’s why we’re here”. It’s not really my position to tell the court, “Well, here’s what I think you should do” because in a lot of those cases Revenue Canada is going to be there as well. Is that accurate? Richard Howell: Yeah, if you’re tax-driven and they’ve opposed, they will be sending the Department of Justice lawyers to argue what you should have to pay to get out of bankruptcy. Doug Hoyes: And it will be a high number, probably, if they’re going to be showing up. Richard Howell: Yeah, there’s a tendency … The low number tends to be 10% of the debt. The high number: Well, I’ve had bankrupts started to pay half a million dollars as a condition to getting out of bankruptcy. Doug Hoyes: That’s Richard Howell, an insolvency lawyer, talking about tax-driven bankruptcies. As I said, I’ll put links in the show notes at Hoyes dot com, but the section we are referring to is sub-section 172.1 sub (1) of the Bankruptcy and Insolvency Act, and that section says that a bankrupt is not eligible for an automatic discharge and must have a discharge hearing in bankruptcy court if, at the time they filed for bankruptcy, they owed $200,000 or more in personal income tax debt, and that personal income tax debt represents 75% or more of their total unsecured debt. Again, we’re talking about special circumstances here. If you owe less than $200,000 to CRA, you do not automatically have to go to court. And, as Richard Howell says, CRA’s lawyers from the Department of Justice will likely also be in court if they are opposing your discharge because it’s a tax-driven bankruptcy, and they will likely request that the court order you to make additional payments to get your discharge, which is why having your own lawyer to give your side of the story to the court may be a good idea. Richard Howell: Be who you are. You know, if you are used to wearing a suit to church or something, wear it. If you’re a labourer and don’t have a suit, just be who you are. The court doesn’t take a lot of note of how you’re dressed, but it’s always a good idea to put your best foot forward. Doug Hoyes: Okay, wear a clean shirt kind of a thing, but don’t try to be someone who you’re not. Richard Howell: Well, as Johnny Cash says, “At least get out your cleanest dirty shirt”. Richard Howell: Yeah, the gold chains are not a good thing to wear. Doug Hoyes: Yeah, a lot of jewellery probably doesn’t go over well. And other than that, you know, show up on time I guess. Is that really what it comes down to? Richard Howell: Yeah, you show up on time you won’t get reached on time because there’s going to be 20 or 25 other bankrupts on the docket, and it depends, the court can go through them awfully quickly if they’re consent matters. If you get one that takes 15 or 20 minutes it sort of stalls the proceedings. Doug Hoyes: And in Toronto the morning session typically starts- is it 10 o’clock in the morning? Richard Howell: 10 o’clock, yeah. Doug Hoyes: And is there an afternoon session, typically, as well? Richard Howell: No, they go through- they haven’t split them. There was a consideration of doing that, but no, generally speaking, the court will finish by 12:30 or 1:00, 98% of the time. Doug Hoyes: So if you have a court time of 10 o’clock everyone has a court time of 10 o’clock, and, as you say, if there’s 20 or 30 people on the docket, well your time might come up at 10 o’clock, it might be 11, it might be 12, it could even be one o’clock I guess, so be there early and wait your turn is how it works. Richard Howell: Yeah, quite so. Doug Hoyes: Okay. And is there anything you should do or shouldn’t do in court, so for example – and I’m speaking specifically about Toronto Court here, but I think this would apply to bankruptcy courts across the country – how am I supposed to address the judge? What am I supposed to say? Richard Howell: Well, I’ve heard- first of all the judge isn’t a judge, the judge is technically a registrar in bankruptcy that is kind of like a judge but has restricted powers as to what they can do, but the registrars in Toronto are masters of the Superior Court as well, and they like to be referred to as ‘Master’. Now, over my many years I’ve heard judicial officials referred to as ‘Your Highness’, ‘Your Lordship’, ‘Your Worship’, right down the scale. Doug Hoyes: You don’t recommend that, though. Richard Howell: No. It used to be fun calling them ‘Your Lordship’ for the judges, but that doesn’t happen anymore. And if you forget, ‘Sir’ or ‘Ma’am’. Richard Howell: Well exactly, and you’re going to get to see a few of these before your case as a general rule, so you can probably get a little more comfortable realizing that the court’s understanding and they’re not going to give you a rough time if you don’t deserve a rough time. Doug Hoyes: Yeah. And is it typical that they go through the docket in chronological order, or is that not typical? Richard Howell: Well, first of all, they take the adjournments, then typically they’ll take- the first trustee on the list may have about ten matters scattered, so they’ll take the first trustee on the list and do their ten matters, unless they’re going to be a long time, in which case they take other matters in front. So she has, or they have, a certain discretion as to how they do things. Consent matters tend to get heard earlier as well. Doug Hoyes: Got you. And the times I’ve been in court, if there are going to be five or six different trustees there and we’ve each got a few matters, it’s not unusual for us to sort of chat beforehand and say, well, what do you have, what do you have? And if I say, well, I’ve got three people and they’re all creditor oppositions, I guess I’ll go at the end, let’s get the court room cleared out as much as possible because some things- most matters are pretty quick, but some can take a lot longer. So like you say, if we’re just adjourning it or we’ve both agreed on what it is, it’s just having the judge sign off, then it will go. So you want to be there on time and you want to just keep your eyes open and your ears open for when your name gets called and be ready to go. Richard Howell: Yeah, and speak to your trustee beforehand, whoever the rep from your trustee is make contact, let him know you’re there. Doug Hoyes: That’s good advice. Speak to your trustee beforehand. How does that work? To find out, I’ve asked Scott Schaefer to join me back here in Kitchener in the Debt Free in 30 studio. 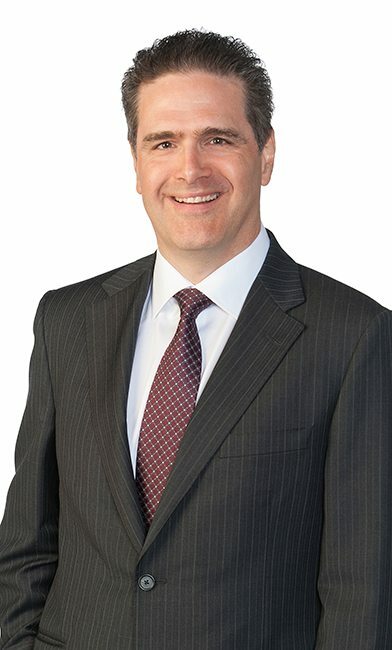 Scott is a Licensed Insolvency Trustee and over the last decade and a half or so Scott has appeared in bankruptcy court as the trustee on hundreds of files. So, Scott, how does it work? What’s the process? Rick Howell says to talk to your trustee before court starts. How do you do it here at Hoyes Michalos? Scott Schaefer: Well, we talk to people. The bankruptcy is a process, and if we’re going to court we’re going for a discharge hearing, so we’re going to get their discharge is what the ultimate goal is. So with that in mind, as we work through the process, if we are ending up having to go to court, we want to meet with the person, we want to work with the person, we want to be prepared for the court hearing, because it doesn’t happen in all the cases, it happens rarely. Doug Hoyes: So how far in advance do we know when a court hearing is going to happen? Doug Hoyes: Several months, okay. Scott Schaefer: At least three, if not more months. Doug Hoyes: Okay. So I know that three months from now, four months from now, there’s going to be a court discharge hearing; when are you going to meet with the person involved? Scott Schaefer: We would have probably met with the person several times. We’re definitely going to meet right before the court hearing just to double-check things. We’re going to meet when we know we have to go to court to get their discharge, and we’ll have talked about it before if that ever gets to that point, we we’ll know well in advance as we move through the process on that. Doug Hoyes: And obviously the goal is to get everything done so that by the time we get to court there’s really nothing to do. So if the issue was I owed a bunch of money, you know I had surplus income and I haven’t paid it, or whatever … And I’m not going to over-complicate this by talking about mediation and all the other ways that we deal with that, but let’s just say that we’ve got a situation where the person owes $1,000 and hasn’t been able to pay it before the end of their automatic discharge period, it’s five months before court is going to happen, you meet with the guy and he says, hey look, I can give you a couple of hundred bucks a month. Scott Schaefer: Correct. We’re using the court hearing at that point as a tool, a tool to help that individual get their discharge. They couldn’t afford to pay it in full so the tool now is the court is going to allow us and agree to a term to get their discharge conditionally upon that condition being met, which is the payments, so it allows us to spread out those payments a bit longer than we would otherwise have been able to. Doug Hoyes: So if everything gets done before court happens, then it’s pretty easy: You go to court and say to the judge, everything is done. Doug Hoyes: Absolute order, okay, which means everything done. Now, you had mentioned a conditional order, so that would be a case where everything isn’t done, but we’re getting close, so maybe we go to court and there’s still, you know, a couple of thousand dollars still to pay and the guy can afford to pay a couple of hundred bucks a month, so you would say to the court: Can you give him a discharge conditional on him paying $200.00 a month for ten months? Scott Schaefer: Correct. I would have already met with the individual. We probably would have worked out payment terms to say, you know what, let’s pay $200.00 a month for the next five months, we’ll sign a consent to condition, meaning we’re both agreeing to those terms. I will present those to the courts to say we’ve already come to terms with the payment plan, we would like a condition order be granted upon those terms. Doug Hoyes: So you agree with the bankrupt on whatever the terms are: $200.00 for five months, $200.00 for ten months, whatever he can do. He agrees, and so then when you’re going to court, really you’re getting the court to already rubber stamp what we’ve all agreed to; it’s pretty simple at that point. Scott Schaefer: They’ve just given us more time to make those payments, so it’s a helpful tool. Doug Hoyes: A helpful tool again. Okay, so that’s what happens before court. Let’s assume now today is court day. Doug Hoyes: So, you do most of your work in the Kitchener court. I know you’ve been in both London and Toronto before. In Toronto court discharge hearings are typically at 10 o’clock in the morning – how does it work in Kitchener? Scott Schaefer: Yeah, so if it’s a trustee’s request for the court hearing, because we needed more time or there was outstanding duties it’s at 1 o’clock. If it’s a creditor opposition, meaning the creditors would like a review of it, then it’s at ten in the morning. Doug Hoyes: So it will either be at 10 o’clock or 1 o’clock, and so let’s say it’s 1 o’clock, which is when the typical ones would be, when should someone arrive at court? Scott Schaefer: I always like to tell people to be an hour beforehand; you never know what the traffic is going to be like. Most courts are in a downtown community so there’s going to be a parking issue. You’ve got to go through security, because all the courthouses now have ample security so you’re going to have to go through the security system. You’re going to have to find the courthouse so you’re going to have to ask the front desk what court you’re in, so you just want to have some time so you don’t feel rushed, you don’t want to feel pressure going into it. Doug Hoyes: And we don’t know in advance what room you’re going to be in in the courthouse. We know where the courthouse is, it doesn’t move around, but because the registrar, or deputy registrar, is only there once every couple of months – in Kitchener at least – they could be in a different courtroom each time. Scott Schaefer: Yeah, they schedule a [base from] what else is going on in the court, so it does float around in different rooms. Doug Hoyes: And what’s security like at the court? Scott Schaefer: It’s like going through airport security. You go through, you’ve got to empty out your pockets, you’ve got to go through an x-ray or the scanning machines, and just like going through at the airport. Scott Schaefer: And one of the biggest things is then they can locate us, because at Hoyes Michalos we attend all court hearings, so they can find us beforehand, we’ll set them at ease again where we’re going, what’s going to happen, at what point they’ll be called up, and just give them a little bit … we’ll go through it one more time of what’s going to happen so that that’s definitely reducing the stress for the person. Doug Hoyes: So I find the court, I get there, I go through security, I find out what room it’s in, I look at the board, or I ask someone. I go up to room whatever and there’s going to be a whole bunch of people milling around because at the 1 o’clock session there could be how many people on the docket? Scott Schaefer: Oh, could be 50 or 60 people. Doug Hoyes: So there’s a lot of different people who are getting their discharge that day, so a lot of people milling around, so they know that Scott Schaefer is my trustee, I go I find him, and you say no problem, I’ll tick my book here to make sure I know you’re here. Doug Hoyes: And then when court starts, what happens? Scott Schaefer: We all go into the courthouse. At that point you want to make sure you’re not wearing a hat and your cellphone is off as the courts frown upon that, but at that point you have a seat and you wait for your name to be called. The trustee will have already checked in to say we’re present, and then the trustees will be called up in different orders to deal with their matters in blocks, kind of chunks. Doug Hoyes: Yeah, and so typically, as Rick Howell said, there may be some consent matters that can be dealt with really quickly, otherwise I guess if, you know, Hoyes Michalos has 20 different people on the docket that would be unusual, but if we had a lot of people then it may be, well, we’re going first or second, and we’d go through all of our people at once. Doug Hoyes: And so you’d just be up there saying, okay, Your Honour, we’d like to do the next person next, you’d wave to them and they’d come up, say their piece, and go on to the next one. Scott Schaefer: Yeah, and if we’re on consent the judge will just ask at that point, or the registrar or master will ask, you know, do we agree with that? In general there’s not a lot of questions asked. If it’s multiple time bankruptcy there will be some questions asked, but generally it’s a very straightforward process. Doug Hoyes: And you said that the Hoyes Michalos process is to always appear in court for a discharge hearing. Doug Hoyes: Have you ever been to court where other trustees aren’t there? Scott Schaefer: Multiple times. There are several different trustee firms that do not attend these court hearings to facilitate it. Doug Hoyes: And so that’s got to be pretty confusing for the bankrupt then. Scott Schaefer: Confusing, stressful, anxious, you name it, I’m sure it’s all there. Doug Hoyes: Because they’ve never been to court before, and okay, where am I supposed to stand and what am I supposed to do, and when does my turn come up? Scott Schaefer: And we are in a court, and I [say] to people, remember that this is about a discharge hearing so it’s a hearing to get somebody’s discharge. The discharge will happen at some point, it’s just a matter of having to use a court to do that. So yes, we use the [word court] and we’ve seen lots of TV shows where courts are involved, and it could be scary, but at the end of the day this is about getting somebody’s discharge. Doug Hoyes: And that’s what it’s all about. So what advice do you have then for people who have a court discharge hearing scheduled, you know, what do you tell them? Is it as simple as that, that this is about resolving your duties and getting on with it? Scott Schaefer: Bankruptcy is about giving the [unintelligible 00:22:16] a fresh start, helping them through the process, and a fair and equal treatment of all the creditors. So at the end of the day the courts want to grant discharges, that is what the process is about. Sometimes there’s terms and conditions they have to meet in order to facilitate those three principles, but at the end of the day this is about getting their discharge, so we’ve got to make sure we agree on getting the duties completed and moving forward to getting that discharge, which is where it’s all about that fresh start. Doug Hoyes: Excellent. Well I think that’s great advice. The court wants to give you your discharge; they’re not trying to trip you up or anything, they would like this to be done just as much as you do. Scott Schaefer: Yeah, the court has four options. They can absolutely discharge you. They can give you a conditional order or discharge, which means there’s a condition that has to be met. They can suspend your discharge, which is where somebody has been a multiple time bankruptcy. Sometimes they add a period of time before they’re able to get their discharge, so there’s a time penalty. And there is also the option to refuse the discharge, which in my lifetime I’ve never seen a refusal, and that would be for maybe a fifth time bankruptcy, or something very unusual where there would have been criminal activities involved or otherwise. Doug Hoyes: But otherwise it should go according to plan. Excellent, Scott thanks very much for being here. Scott Schaefer: Thanks for having me. Doug Hoyes: That’s some great advice. So here’s the quick summary. In most bankruptcy cases an appearance in court is not required. If you complete your duties on time you are automatically discharged, but if you don’t complete your duties on time, or if someone objects, a discharge hearing in bankruptcy court is required, and my number one piece of advice – and I think Scott would agree – is to meet with your trustee before you go to court. That’s standard practise here at Hoyes Michalos. You should know what to expect before getting to court, and, ideally, you and your trustee will have worked out a game plan to deal with any issues that may arise. That’s our show for today. A full transcript of today’s show and links to Section 172 of the Bankruptcy and Insolvency Act – which talks about tax-driven bankruptcy – and a link to an article on creditor oppositions, can be found at Hoyes dot com, that’s h-o-y-e-s dot-com. Thanks for listening. Until next week, I’m Doug Hoyes and that was Debt Free in 30.